Armin Schmidt is an archaeological geophysicist and IT pioneer, initially trained as a physicist with a PhD from the RWTH Aachen, Germany. He has applied novel methods of geophysical prospection worldwide from Ecuador to Iran, Nepal and Japan, working as a researcher, and consultant to UNESCO. 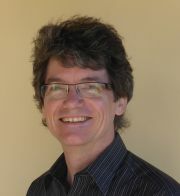 He is Founder of the International Society for Archaeological Prospection (ISAP), as well as co-founder of the Archaeology Data Service (ADS) and of the Bradford Centre for Archaeological Prospection (B-CAP).His specialisations are in near-surface geophysics for archaeological prospection and geoarchaeology; geodata processing; and computer applications in archaeology. His main archaeological interests are Iranian prehistory and South Asian archaeology.He has written books on geophysical data in archaeology, and on magnetometer and earth resistance surveys for archaeologists.